Beebe Healthcare offers expertise in vascular disease and testing. The program was founded at Beebe in 1989 by Mayer Katz, MD. Today's Beebe Vascular team includes board certified and fellowship trained vascular surgeons and specialized nurse practitioners. Construction at the Margaret H. Rollins Lewes Campus will add a new state-of-the-art hybrid operating room - the only of its kind in Sussex County. Learn more. Vascular surgery is an integral component of Beebe's Cardiac & Vascular Services program. It includes vascular diagnostic testing and other vascular nonsurgical procedures. Beebe Healthcare also offers a Vein Center, where venous disease can be diagnosed and treated. Beebe Vein Center provides information about varicose veins, spider veins, and other types of venous disease. We are here to serve you in several locations. Please call our Lewes location to schedule appointments because our physicians are not at all locations on all days. Click below for directions/maps for each location. What Vascular Procedures Does Beebe Perform? Peripheral Artery Disease - On The Blog. 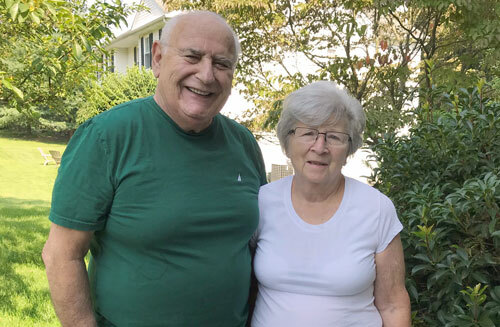 Sal Curci was diagnosed with PAD after noticing his toes were sore and gray. READ HIS STORY.